For those exploring the best private schools in the San Francisco Bay Area, welcome to Contra Costa Christian Schools (CCCS) located in Walnut Creek. Are you searching for a 21st-century education characterized by collaboration, critical thinking, creativity, and technology integration? I invite you to take a closer look at what CCCS has to offer. Whether you are just getting started with Kindergarten or you are looking for an excellent college preparatory high school, CCCS is an ideal partner for families that desire a well-rounded program rooted in Christian values and a caring community. At CCCS we understand that private education is one of many competing financial priorities for Bay Area families. In the Bible, Jesus challenges us to store our treasures in heaven and he instructs us that where our treasure is, there our hearts will be also (Matthew 6:19-21). An educational partnership that nurtures young hearts and minds toward genuine faith, love, sacrifice, and excellence is certainly a worthy treasure. If you share our value for preparing the next generation, we are ready to work with you to develop an affordable tuition plan that works within the framework of your budget. Are you ready to take your first step in exploring a partnership with CCCS? Please click the link below to learn more about our school and community. We would love the opportunity to hear firsthand what you are looking for in a school, whether that includes high SAT scores, international diversity, or leadership opportunities, and discuss the possibility of partnering with you. 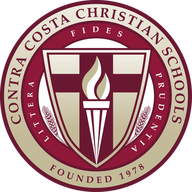 Contra Costa Christian Schools is a member school of Christian Schools International (CSI) and the Association of Christian Schools International (ACSI). CCCS is accredited by the Western Association of Schools and Colleges (WASC). Click to view our Facebook news. Click to subscribe to our CCCS Newsletter.